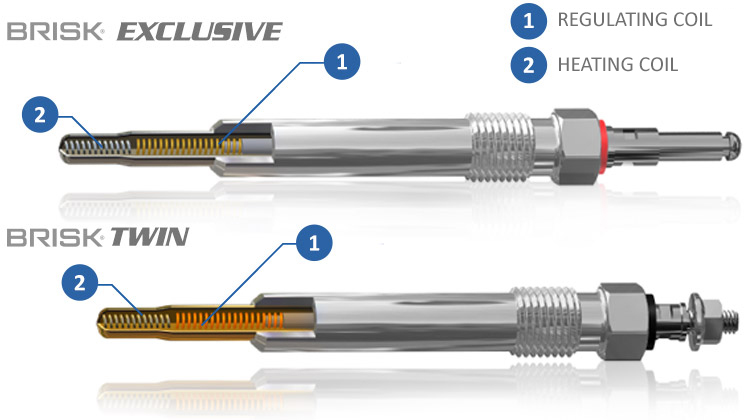 Self-regulating tube glow plugs with short heating period. Twin-spiral design. Modern glow plugs with very short build-up to operating temperature. 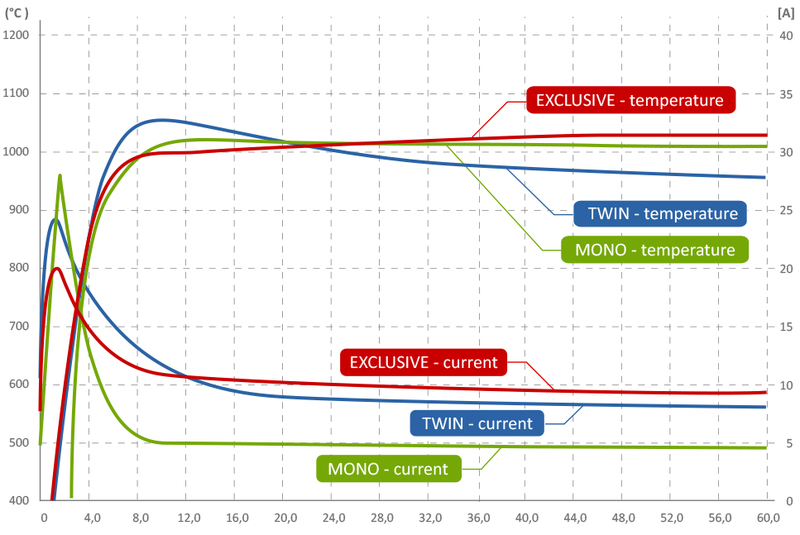 By using the most suitable heating materials and regulating heating coils, it is possible to achieve the optimal temperature of the active parts of the glow plugs in all engine operating modes with a very long replacement interval.